Spring ephemerals are all the rage at Heronswood this weekend. Our woodland borders are bursting with primroses, trilliums, fawn lilies and wood anemones, all jostling with one another to secure their share of available spring sunlight. This super-abundance of spring flowers is a common sight in many deciduous woodlands as early perennials aim to take advantage of the extra light afforded by the lack of leaves above. Once the trees leaf out, the show is over and many of these plants sink out of sight, so come take a look this weekend. If you can bare to tear your gaze away from the carpet of flowers, you may notice a few blooms at eye-level. Our Woodland Garden is composed of several distinct layers, from the mantle of perennials clothing the soil up to the towering canopy of conifers above. 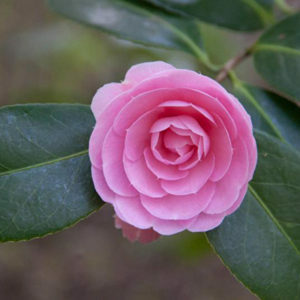 In between is a layer of small trees and shrubs, and camellias are the queens of this middle ground. Our collection includes blooms in several hues, some with simple rose-like flowers garnished with a tuft of golden stamens, while others generate multiple petals, often in pleasingly geometric whorls. 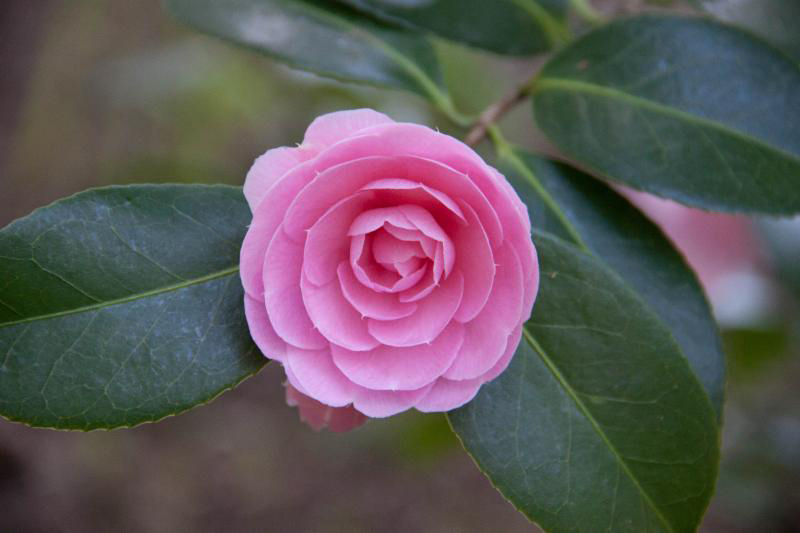 Camellias have a lot to offer the gardener. Luxuriant evergreen foliage clothes plants from tip to toe, providing the perfect foil for flowers. They thrive in shade and can even survive beneath evergreen conifers, providing the soil is rich. The floral display is fleeting, though hugely welcome after winter’s thaw, and fallen blossoms create a colorful carpet below. Join us at Heronswood this weekend for a bonanza of blooms that will stimulate your senses.